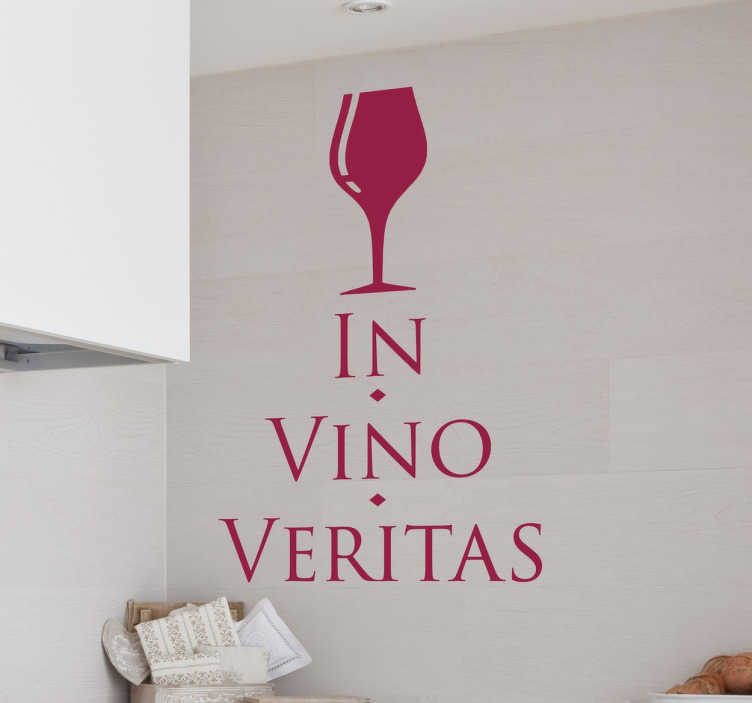 Wine wall sticker with a glass of wine and the Latin phrase, "in vino veritas" meaning, "in wine there is truth", from our text wall stickers collection. Personalise your kitchen with this elegant yet relatable monochrome wall decal and show of your love for red and white wine. This quote decal is available in various sizes and colours allowing you to improve your home decor the way you want. Extremely easy to apply with no risk of leaving residue when removed.